SPECIAL US Immigration EDITION: Understanding President Trump’s Immigration Executive Orders – if that’s even possible! As many are likely aware by now… US President Donald Trump is acting quickly on his campaign promises. Through the use of some very strategic executive orders, he has shaken the very foundation of immigration law and policy in the United States. 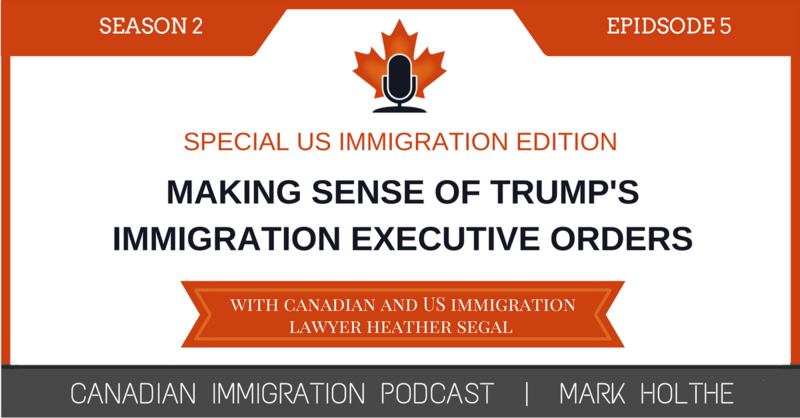 Although this Podcast is traditionally devoted to Canadian immigration, my special guest Heather Segal, a Canadian immigration lawyer and US immigration attorney, shares insight on not only what is happening in the US, but the potential impact it could have for Canadian immigration. If you think what is happening in the US will have no impact on us in Canada, listen to what Heather has to say… you might just have a different outlook when you are finished! If you are anything like me, you are probably wondering what the heck is going on south of the border. Although many of us thought President Donald Trump would do some pretty crazy things while in office, I’ll bet none of you thought he would act so quickly to ensure his campaign promises became a reality. I am seriously starting to think that President Trump’s wall between Mexico and the US might actually happen……. who actually “pays for it” is an entirely different topic. Heather Segal and I had a great time talking about what is happening in the US and musing over the possible ramifications, both good and bad, for immigration in Canada. One thing is certain, we will be impacted one way or another. With any luck for us immigration lawyers, Canadian immigration will be booming once again in just a few short months. 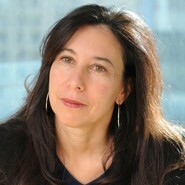 Heather Segal is founder of Segal Immigration Law in Toronto. She is widely recognized for her expertise in immigration law and she speaks regularly at conferences and seminars throughout the world. Heather practices exclusively in the area of Canadian immigration law and American Consular and Border immigration law. She has spent a decade as a Director on the Board of the American Immigration Lawyers Association (AILA). She is currently a member of the AILA Customs and Border Protection National Liaison Committee. She was voted by her peers as one of the world’s leading practitioners in corporate immigration law in 2018 in Who’s Who Legal – Corporate Immigration, a distinction I am also grateful to have received. what does President Trump have in store for NAFTA.